Oh I know my friends. It's been hard. 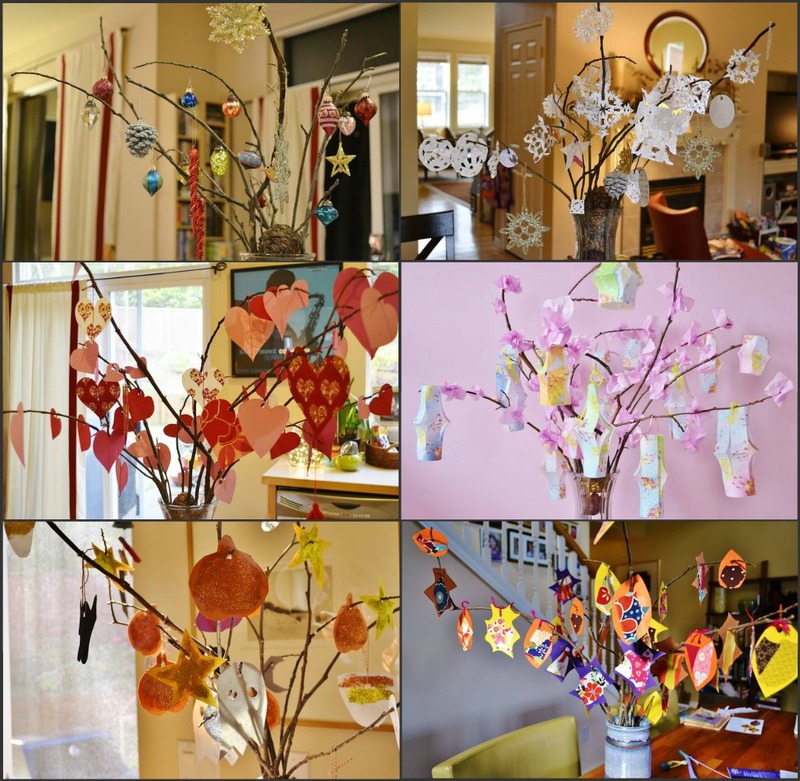 SO HARD WAITING for me to take 10 minutes and make a collage of all the incarnations of the stick tree we did in 2012. But I'm going to put you out of the misery you didn't know you were in, waiting for this EPIC STICK TREE COLLAGE OF AMAZEMENT. Yeah, that's what I thought. Happy 2013!! The spring lanterns, definitely. LOVE the way that turned out! And the snowflakes. I have always loved paper snowflakes. We have a few hanging in our picture window. It's cool to look out and see all the snow through the holes! HAPPY NEW YEAR!!! My mind is officially blown! lol! They're all cute...but the Valentine and Snow Flake trees are super cute! Another vote for the lanterns. I love that you brought together all of the awesomeness that is your stick tree. It was indeed a good year for your stick tree! I heart your stick tree. Oh man! Miss Kit is in awe over all of your beautiful stick trees! She's sitting on my lap ooohing and ahhhing! and yes, I really loved the spring lanterns. Your stick tree is so elegant! We can't have one, because I would probably poke both my eyes out the first day it was in the house, so I will enjoy yours from afar. can I just tell you that I have worried and worried about eye poking?? I feel like it's a minor miracle that no one stuck a stick in their eye! I feel like the stick tree had a very nice year last year, but now Mr. or Miss Stick tree is ready to fly away to Stick Tree Land. I think this year's seasonal decor will take the form of garlands swooped across my mantel :) I already have plans for a Chinese New year garland!